If you’ve been following me on Instagram, you might have seen my toilet paper saga the past few months. Yep, you read that correctly. I was on the hunt to find new toilet paper that was good quality but also sustainable and natural. Spoiler alert, I found it! This post is sponsored by Elemental Recycled Products who generously sent me their product in exchange for an honest review. This post also contains affiliate links. Thank you for reading and supporting my little blog! I was previously buying a generic brand from the store which was unbleached, recycled toilet paper. 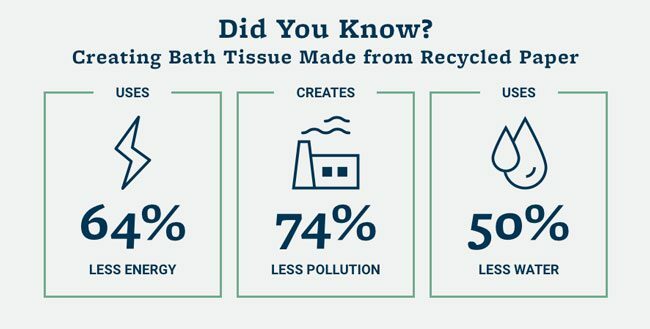 It was definitely a step above conventional toilet paper but I knew there was something more sustainable out there and also a smaller brand that I could support. Elemental is an eco-startup from Nashville founded by two friends. As they researched the recycling industry, they found only a small percentage of waste that can be recycled, is recycled. Currently, they only sell toilet paper but they plan to launch more products in the future! What I like about this brand is that everything is made in the United States. 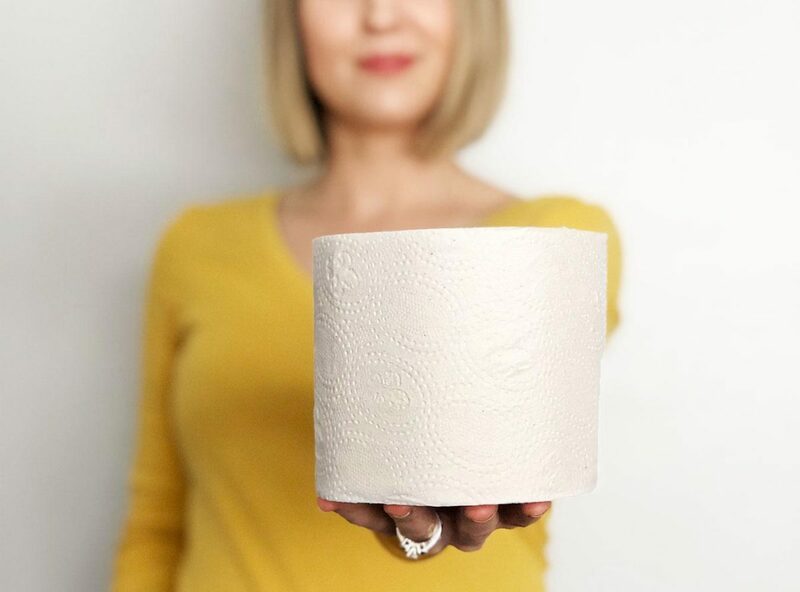 Some other sustainable TP brands use bamboo or materials which come all the way from China, which means a significant carbon footprint for the product. That also means there could be potential worker rights or labor condition issues. Elemental also donates 50% of their profits to educating kids about recycling and preserving land, and they offer downloadable lesson plans for teachers on their website! So cool. Okay now the fun part 🧻 I’m really happy that Elemental just released a “plastic-free packaging” option for their rolls, which means they are just shipped in a big box vs. being wrapped in plastic. Yay! 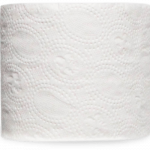 I will be honest, if you have never tried a more natural toilet paper or are just switching from something like Charmin, you will likely notice a difference. It is a bit thinner and rips a little more easily. You definitely will get used to it though. Of the natural brands I have tried, I will say that Elemental is one of the softest! Although it is thinner than a conventional tissue, it still is pretty durable and I have not been experiencing ripping while using it (is that TMI?). Overall, I’m really happy with this brand and product 🚽 Even though it is just toilet paper, it’s really nice to know that I’m helping out the environment and also supporting a smaller business. You can choose between 12, 24, and 48 rolls! 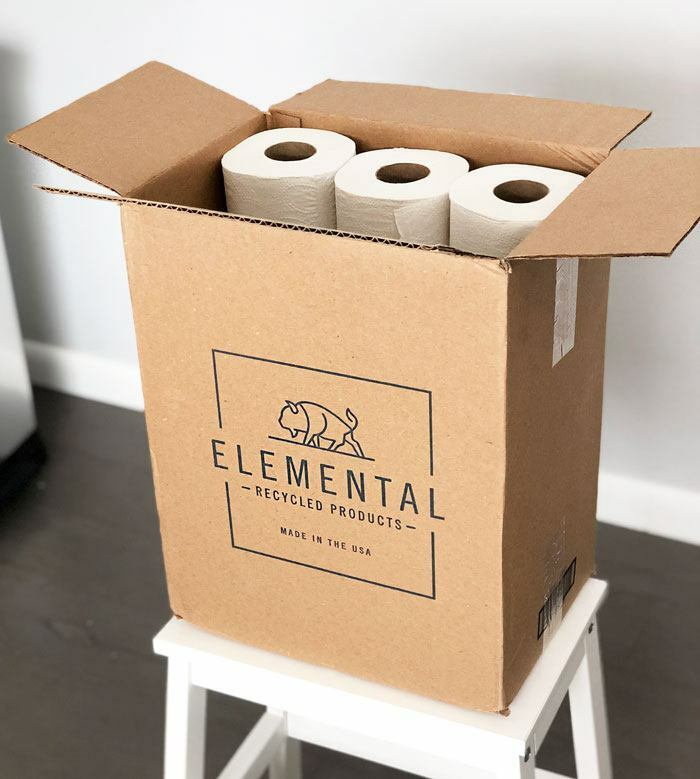 What’s nice is Elemental offers a subscription option which is 5% cheaper and you won’t ever have to worry about running out of TP! Plus they offer free shipping.